I'm pretty sure they are replicas. They're all from around the Thames valley, apart from Phil! if the one on the right is phils it looks like he has also been to se bernie. 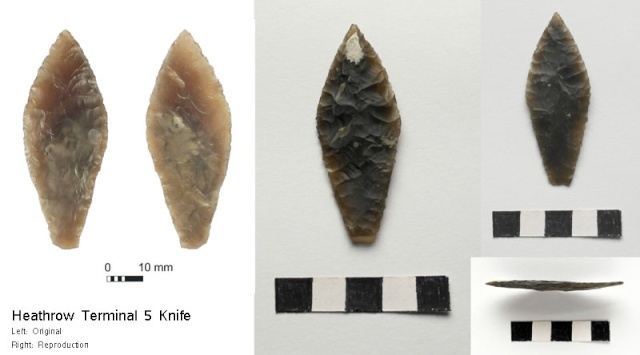 Yup, that really wouldn't surprise me, I think Needham chalks gets A LOT of folk looking for flint for knapping. i like the way you have used to woods natural shap for the job. 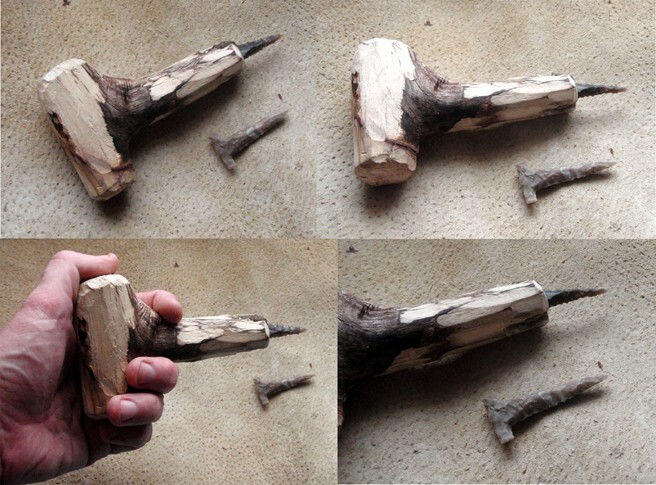 Thanks, I wish the idea was mine, I just copied it from how stone age people didn it. 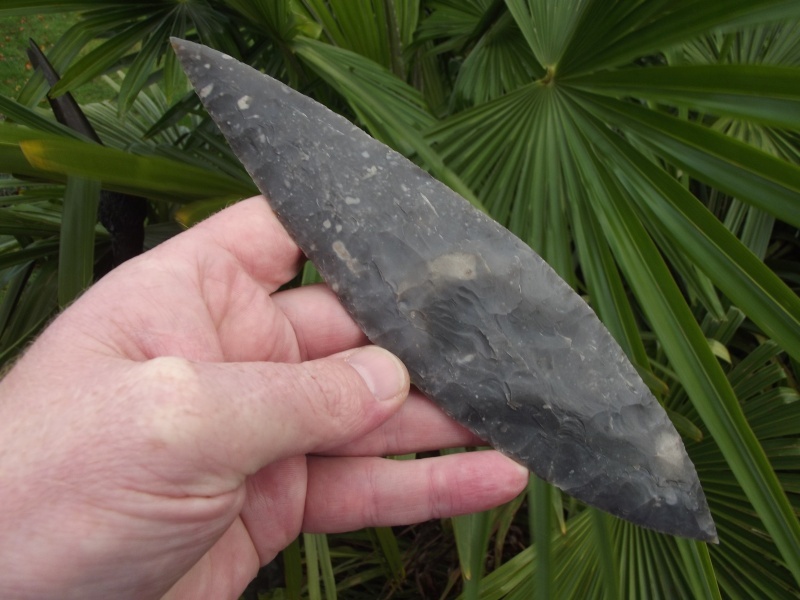 Of course some prehistoric people didn't lower themselves to hand tools and got Black and Deckers. 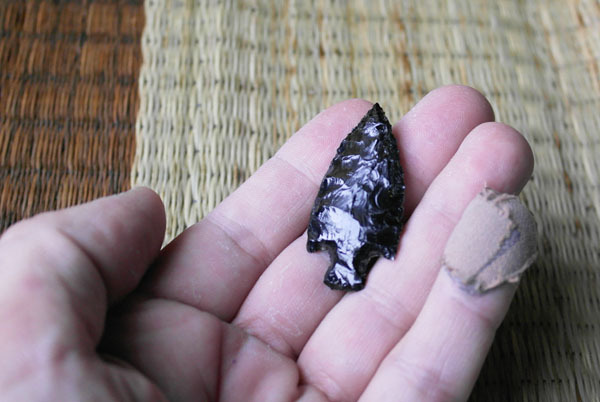 Black and Decker.....what kind of flint is that? 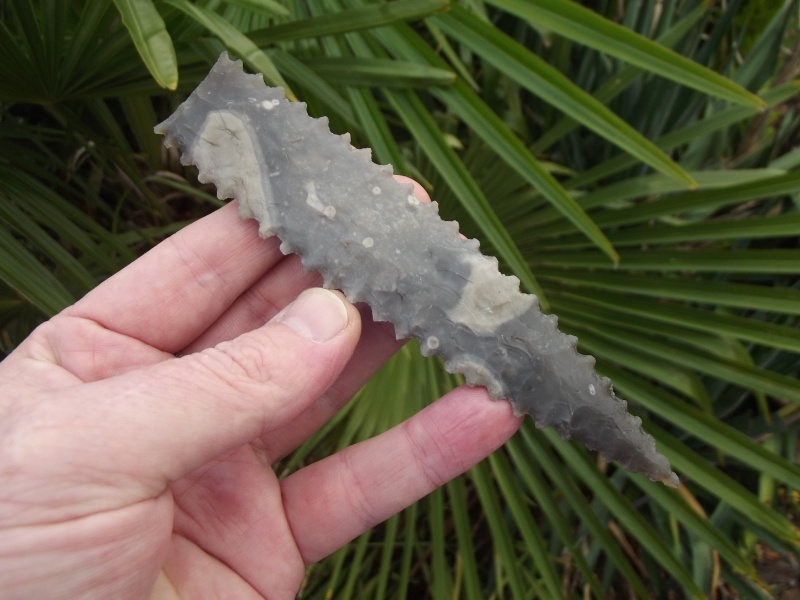 In flint free Scotland they made arrowheads from pitchstone among other things. I managed to get hold of some. Oooh... that stuff does look close to obsidian. Very nice! It's a slightly less pure volcanic glass than obsidian. I tiny bit more rocky and crumbly to knap, it's also completely opaque. Trouble is I have only a few small lumps, difficult to spall and get workable flakes out of. 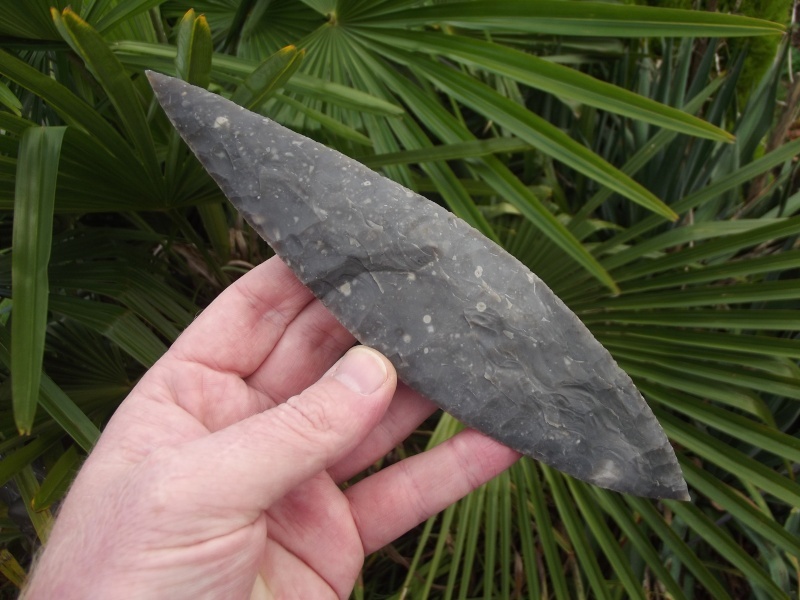 Time for some extreme "turtleback" knapping! Looks like really good rock. 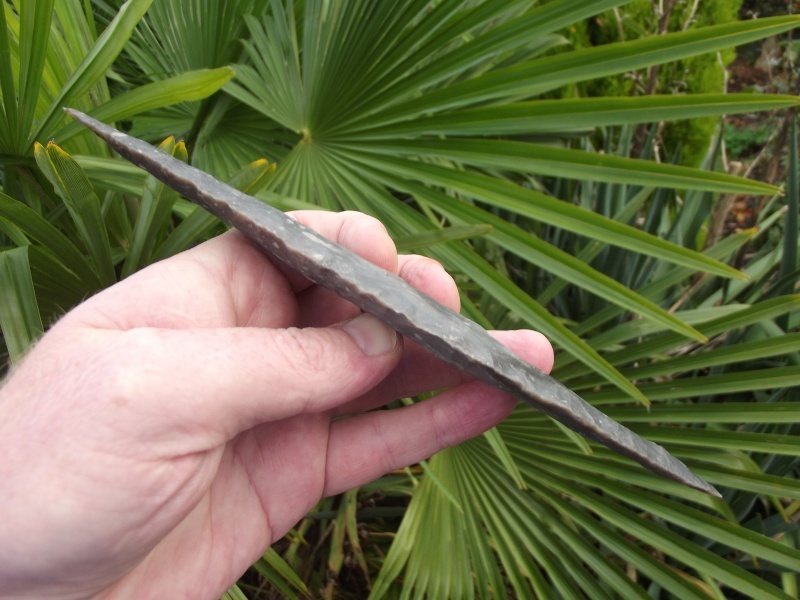 Here's a long tailed oblique arrowhead, 67mm in length and 23mm in width and 4mm thick. Don't know how I managed not to break it. That is damn good, I looked at this the other day and didn't couldn't see that they where different, apart from the little patch of cortex, get the ol' black boot polish!
" />After nearly a year since my last post in this topic, I felt the need to put something up! Percussion then pressure.
" 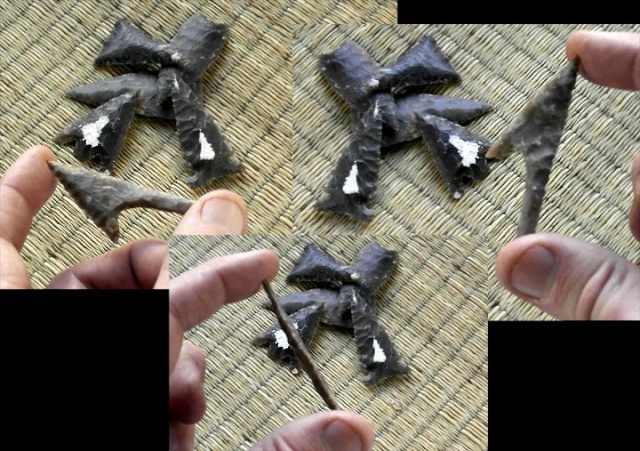 />And the side view, I do like a simple leaf point and the bigger the better, This is not the biggest I've made but the flint wasn't that bad all the way through for once! 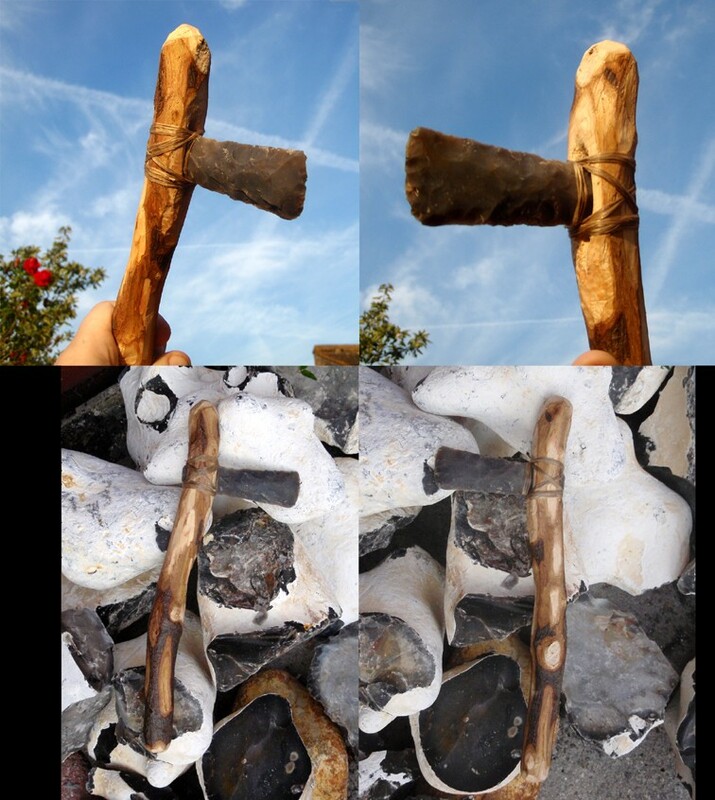 That's a fine bit of knapping of which I can only dream of - I think I need more flint to practice on - I feel a quarry trip coming on soon. 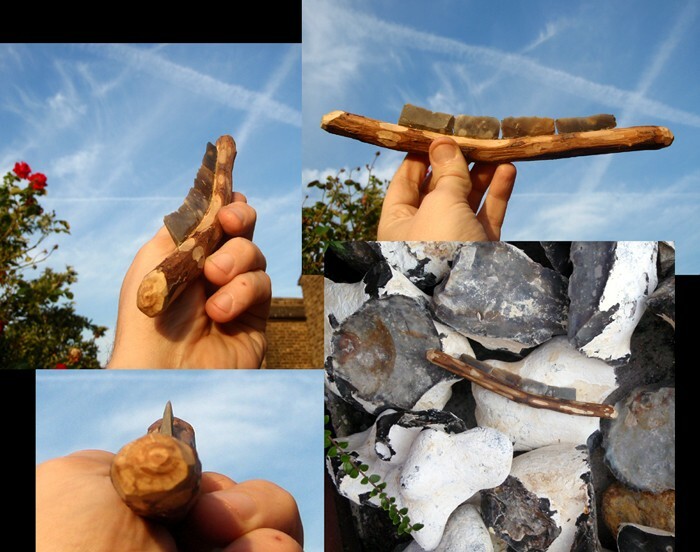 I think this was a peice of "the good stuff" from the demolition site that has pulled up some good flint, I made it a while back when things where a bit more sunny. This piece was left over from "spalling" and the core was left to further abuse. 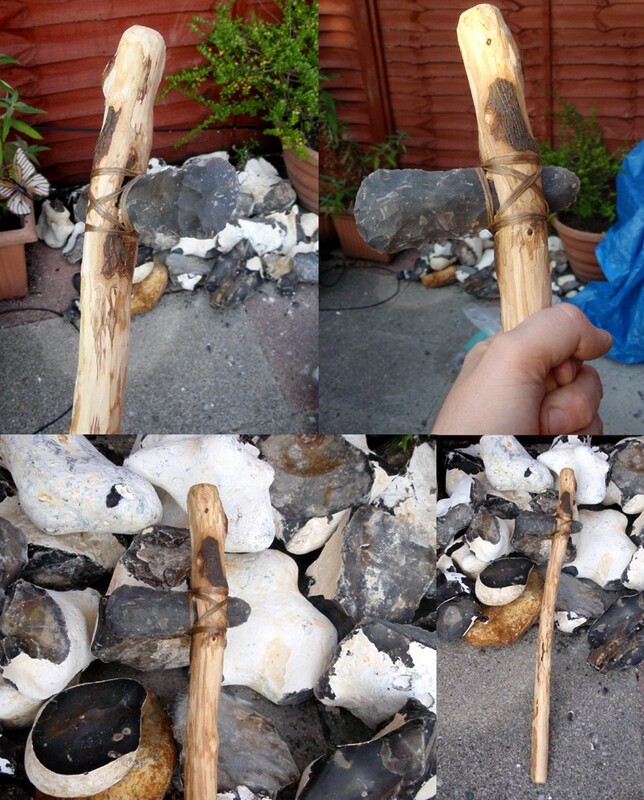 As for replication, if this was a Solutrean point I'd have to get much thinner, say about 6mm and about a foot long. Urf!
" 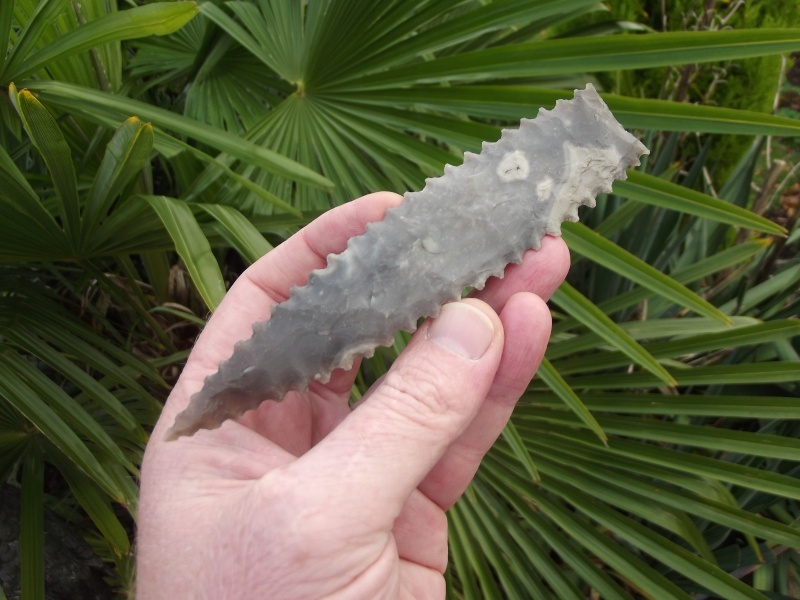 />This is a little Danish type spearhead, as you can see this flint was a bit tricky!
" />This side looks a little better. I say little as some of these are twice this size. 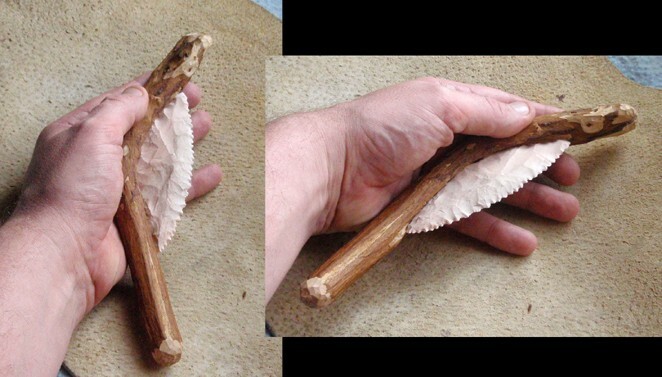 I have been busy with alsorts for an order, this is one of the pieces the Museum wanted, a working single bladed sickle. 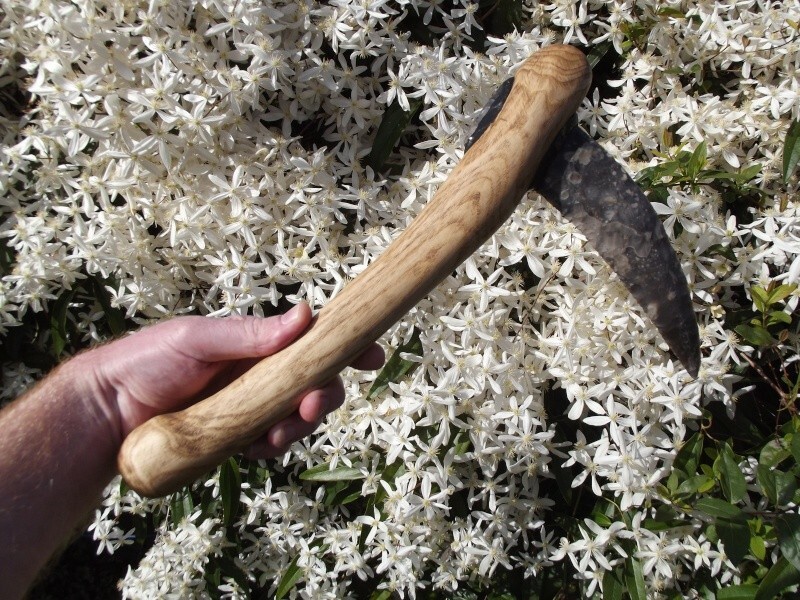 The handle is carved from ash and the blade is set in with pitch pine glue, I was tempted to put some sort of binding on but I figured it would get in the way of the cutting edge close to the handle. It works but you have to be watch where your legs are at the end of the swing!